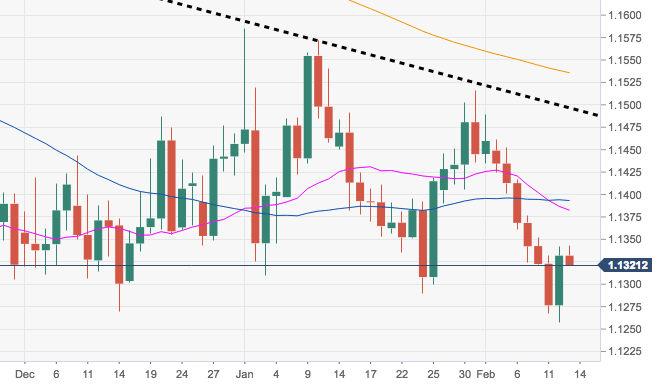 EUR/USD managed to gather some traction following yesterday’s YTD lows in the 1.1260/55 band, retaking the 1.1300 handle and above although losing vigour in the boundaries of 1.1340 so far. This area of resistance is also reinforced by the critical 200-week SMA in the 1.1330 region. A more serious bullish attempt should retake the 100-day SMA at 1.1416, while the short-term resistance line at 1.1496 emerges as the next relevant hurdle. EUR/USD is trading in the low 1.1100s, consolidating its losses. Markets are stalling ahead of the all-important US GDP report which carries high expectations. Some suspect a "sell the fact" response in reaction to an OK number. GBP/USD is trading slightly above 1.2900, recovering the lost ground after hitting two-month lows. The Brexit impasse weighs as the main parties have not made progress. The anticipation to US GDP limits movements. The USD/JPY pair failed to capitalize on the intraday bounce and quickly retreated around 15-20 pips from daily tops touched during the Asian session.